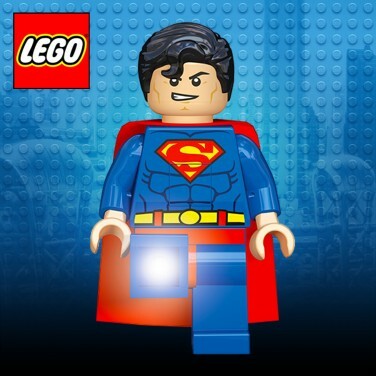 Perhaps the most super of all the superheroes, Superman see's off the evils of darkness with bright LED lights in his feet! 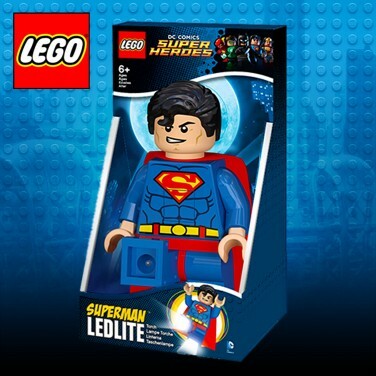 A DC Comics favourite re-imagined by Lego, this fun night light see's the Man of Steel light your child's room making bedtime a more settled time. Press the button on his tummy and Superman's feet will light up for up to 30 minutes at a time before automatically shutting off, or pick up and use as a torch. Suitable for kids 5+ years- lego star wars characters in the form of a keyring torch.